Augustine Kabaso Mulenga's availability for the African Nations Championship was a major talking point in Zambia ahead of the African Nations Championship, but now that he's here, the midfielder appears primed to make up for lost time. The lanky star had just scooped the Zambia Premier League Player of the Year accolade after an enthralling campaign and had also cemented his place as a regular in the Zambia set up. Inevitably, interest in his services was swelling from among a host of foreign clubs. Yet, thankfully, the Zanaco man was to remain in the domestic top flight and was eligible for the CHAN squad, boosting the Chipolopolo's title chances while affording himself the opportunity another platform to further showcase his qualities to potential suitors. Two matches in and the national side have already reached the CHAN quarter finals, with Mulenga having played no small part in the team's emergence as genuine contenders for the crown. It's a remarkable - if belated - rise to prominence for the man who was playing amateur football for a compound team on the outskirts of Lusaka until he was snapped up by top-flight outfit Nkwazi at 22. Three goals in two matches, including a memorable brace in Thursday's 2-0 win over Ivory Coast, and few still doubt his ability to deliver on the big stage. Mulenga opened his CHAN account with Zambia's second in the 3-1 win over Uganda in the opening round, but it was in the Ivory Coast encounter, played just 24 hours after his 28th birthday, that he really stamped his signature on the tournament. This was not just about him scoring both goals to propel Zambia into the knockout stages, although the second was indeed a gem destined for the archives. Collecting the ball from just inside a crowded penalty area, Mulenga sent three defenders sprawling on the turf with a series of dummies before expertly picking his spot with an angled low drive past the Ivorian goalkeeper to seal a vital win for Zambia. Throughout the encounter, Mulenga displayed the kind of class and confidence to prove he was on top of his game. This however is clearly is the story of a late bloomer. Mulenga's evolution into a star of genuine quality is really a bonus for Zambia. Finding himself stuck in the amateur ranks with Chibolya Kings as he turned 22, Mulenga clearly had no right to even dream of ever coming anywhere near the Chipolopolo dressing room. But Nkwazi spotted his talent back in 2012 and decided to give him a chance. "He never played in the lower leagues. We took him straight from an amateur team into the Premier League after identifying him during some preseason tournaments," Nkwazi secretary Davies Chimbwelenge told KweséESPN. Mulenga proved an instant success at Nkwazi, where he would spend only two seasons before making the step up to join giants Zanaco. That vital leap however came with its own challenges, as Mulenga initially struggled to adjust to life at a big team where competition for places was fierce, according to Zanaco general secretary Jordan Maliti. "The team was a bit too big for him. So he needed time to settle," Maliti told KweséESPN. "In 2016 when we won the league he was part of the team, but still upcoming. So when we lost the other players like Rodrick Kabwe who went to Ajax Cape Town ... [Mulenga and the other upcoming players] had more game time and now they have exploded on the scene." Mulenga made his international debut for Zambia last March during a friendly international against Zimbabwe, aged 27. Thirteen caps later, he now has four goals to his name, and is a regular starter for a Zambia senior team bursting at the seams with attacking talent. He may have been made to wait for his ascent to the top, but his performances so far at CHAN suggest it has been well worth the wait. "He was good back then but sometimes you see, players have to grow," Chimbwelenge explained. "Players are like wine, the longer they stay, the more they mature and this time around I think maturity has just caught up with him." Going forward, Mulenga will look to secure the long awaited transfer to a foreign club, possibly one that would change his life. In that regard, leading his country to the CHAN title would do him no harm, and with so many of teammates showing the hunger to lift Zambia back into limelight, that dream is certainly getting closer with each round. The presence of Mulenga's Zanaco teammate Ernest Mbewe and ZESCO striker Lazarous Kambole make Zambia's forward line extremely fluid and dangerous. Simultaneously, experienced central midfielders Kondwani Mtonga and Donashano Malama give them a more compact feel, with the duo notably helping Zambia get through a tricky first half against Uganda. 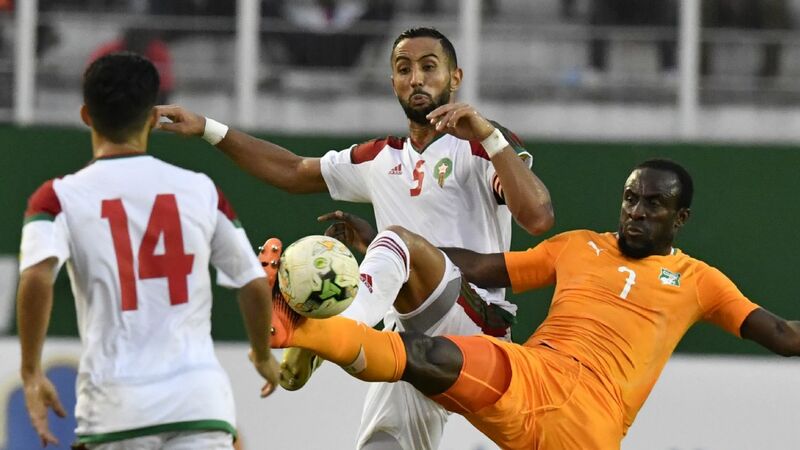 Tougher battles lie ahead though, with hosts Morocco, in particular, having so far shown they have the resolve to win the tournament in front of their own fans. Yet Mulenga's journey to the top should be complete by the time the tournament ends, whichever way the cup goes.